China - How Super is the League? Am sure you have heard about the Chinese Super League CSL with Tevez, Oscar and Ramires to name just a few of their big foreign imports. You would also have heard about the big money on offer there, the ridiculous transfer fees, wages and recently bonuses as newly promoted side Meixian Techand players received £3 million each upon promotion to China’s second tier. However, despite all this is the big money helping the game in China or just allowing these superstars an easy run of it. Recently Tevez said it would take 50 years for the league to get to the standard of leagues in Europe and South America while Pierre-Emerick Aubameyang, the Borussia Dortmund striker, claimed he was never serious on a move to China and called the negotiations he did have in China ‘unprofessional’. How did this all happen then? 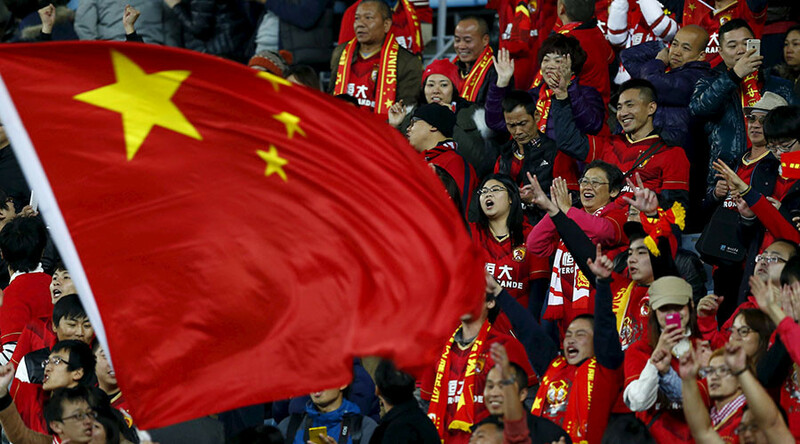 Well back in 2015 the president of China Xi Jinping had a ten-year plan to change football in China forever. He wanted to put over £600 billion into the game using money from the state and private investors. The idea was to create many footballers for future generations in China by putting money in to the grassroots game also. Did the idea go to plan as well as hoped, you would think not by the comments from some big names in football, however what is the truth? 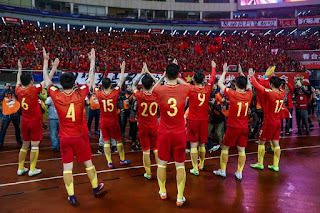 The CSL currently has 16 teams in it and this season the league winners where Guangzhou Evergrande Taobao FC to give them their full name, also as am sure you are not shocked, they are the riches team in the league according to Forbes (American business Magazine). The team have been managed by Luis Felipe Scolari the former World Cup winning manager for the last three seasons, the Brazilian left this week after claiming the CSL title. With average crowds of over 45,000 there is a clear interest in the game in the country. However, with the big named players criticising the league and also not preforming (Tevez even accused of being overweight - photo below) to the potential it was hoped is there a danger players will use the league as a cash cow before going back to play in Europe or South America where they feel the league is more professional and of an higher standard. When Oscar moved to Shanghai from Chelsea while very much in his prime it was thought this was a big step in showing the CSL was not for old has been footballers. However, after a year in China Oscar has managed 3 goals on his return for £400,000 a week, while Hulk his fellow countryman has managed 17 goals for his £320,000. With all this talk of big money spending and South American and European superstars it is easy to forget that this league was set up with all the money to generate the future generations of Chinese football stars. A country desperate for success in the world's biggest sport, having not even managed a World Cup goal to their name yet. It was announced earlier in the year that many clubs in the league could face expulsion from the league for not paying players wages in full. On top of this as to help bring in local talent a team is only allowed to field three players from outside of China in any game and must also field at least one under-23 player in each match and have two in the 18-man squad. As am sure you can understand the future for the game in China is unclear but it would seem that the worry China would take all the world's top talent because of its riches may in fact not be true. 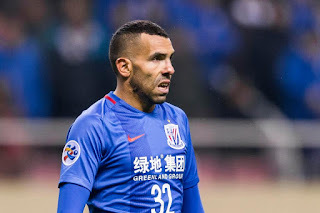 The league itself from the crowds in China you can see is popular but still needs to improve and with a player like Tevez not even bothered to run in games, maybe this will get the clubs to look closer to home for new talent. As with if the league will help to grow the game in China and increase the countries chances at future World Cups only time will tell on that.